Welcome to the B.O.G.S section of the club site. 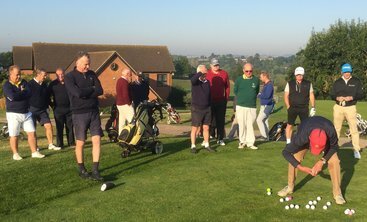 B.O.G.S is an acronym for Bedfordshire Optimists Golf Society. Beginning in the early 1980’s, The BOGS have provided a Saturday morning “Roll Up” for any member of the Club (new or old) wanting a game. No notice is required - just be by the 10th Tee at 0750 hours for the “UPTHROW“. Generally, we play Pairs & Teams better ball stableford oﬀ the yellow tees, starting from both the 1st & 10th Tees. 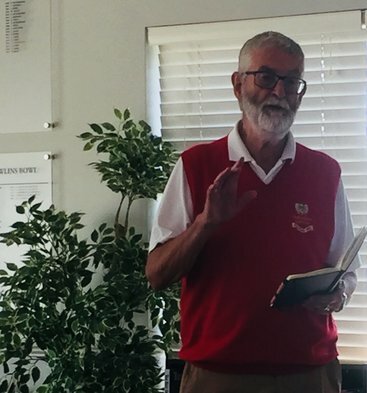 All that we ask is that after the round, you join your fellow players and the other BOGS who have played that morning for a drink in the Bar and the announcement of the day’s results. 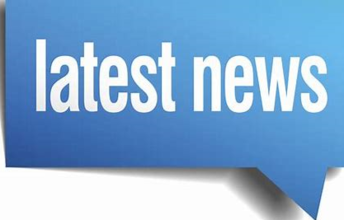 There is a payment of £3.00 to be made - £2.00 covers the prize money for the Pairs & Teams. The remaining £1.00 goes towards our subscription to the 200 Club and to subsidising the cost of our Summer & Winter (Christmas) Competitions (see BOGS Annual Championship page for details). You will play oﬀ your Club handicap but those winning some of the prize money are ‘ CUT ‘ at the Captain’s discretion. ‘CUTS’ are recovered at the rate of 1 shot each week you play until you get back to your Club handicap. If you do not have a Club handicap, you are just as welcome to play - we will give you a suitable handicap. We are also always more than happy to mark a card for you to submit as a supplementary card towards obtaining your handicap. We also play The BLOGS - the Bedfordshire Ladies Optimists Golf Society each year for a truly unique trophy ! This is an extremely competitive occasion with much discussion on the subject of courtesy shots for the Ladies. In addition, we play a match in January each year against the combined strength of the other two early Saturday morning Roll-Ups— The BYGEMISTS & The LATE ARRIVALS. 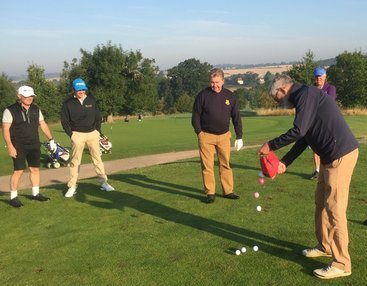 With the BLOGS, we also compete for The BOGS & BLOGS PURSUIT CUP, a timed individual Stableford Competition—it is your score at three and a half hours after teeing oﬀ that counts, which is quite a challenge on a Saturday morning. We also have a BOGS on TOUR weekend in June each year. This is a chance to get away for the weekend with fellow BOGS and play at another golf course for the BOGS on tour challenge cup. There are many prizes awarded over the weekend and the event is well supported. 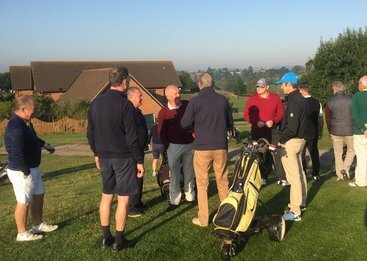 In all that we do, our objectives are the enjoyment of golf, good company and supporting our Club, the Bedfordshire Golf Club. We have but one rule: The BOGS Captain is always right ! 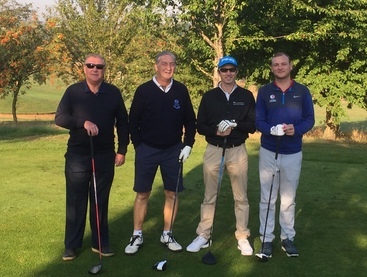 If you would like more information about the BOGS please drop an email to our Captain John Farnworth at farnworth925@btinternet.com.
. Hole in one for Will Marsh !
. Hole in one for Robbie Brown !